Compare car brands Audi, BMW, Ford, Holden, Honda, Hyundai, Kia, Mazda, Mercedes, Mitsubishi, Nissan, Subaru, Suzuki, Toyota and Volkswagen on value for money in new cars. Which car brands offer the best value for money? In 2018, Hyundai, Kia and Suzuki have been deemed worthy of five stars by Australian motorists. Buying a new car is one of the biggest financial commitments you can make. 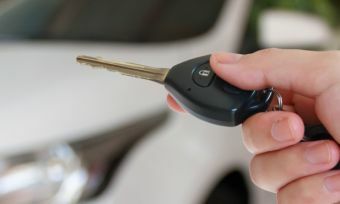 But a car is also one of the quickest depreciating assets you can own, which means you’ll need to think long and hard about which model – and price tag – is right for you. 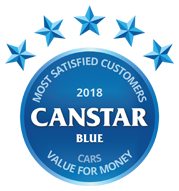 To help you decide, Canstar Blue undertakes an annual survey of Australian motorists who have bought a new car in the last three years. The idea is to find out which car brands are deemed to offer five-star value for money. After all, you can spend an absolute fortune on a new car – but that doesn’t mean it’s great value. This year, more than 2,300 motorists took part in our research, with 15 car manufacturers included in the final ratings. But of them, only three received top marks on value for money. Hyundai, Kia and Suzuki were all given five stars for value for money, with Hyundai retaining the top spot from last year. Mazda, Mitsubishi, Nissan, Toyota and Volkswagen all scored four stars on value. Audi, BMW, Ford, Holden, Honda, Mercedes and Subaru were given three stars for value for money. A few years ago, Hyundai, Kia and Suzuki may have been viewed as ‘cheap’ brands, and not always the good kind. However, over recent years, all three manufacturers have become firm fan favourites Down Under, with increasing sales and higher levels of satisfaction. While still some of the cheapest brands on offer, it seems that Hyundai, Kia and Suzuki haven’t sacrificed quality. The key to getting a good deal on a new car is finding the right balance between quality and price – and it seems these three have done it. Hyundai in particular has impressed Australian drivers, going back-to-back in our value for money ratings category, with its wide range of vehicles meeting all budgets. Regardless of whether you’re after a small city car or something to take the whole family camping in, Hyundai gives you plenty to think about. Down the bottom of the ratings, surprisingly, are the German luxury models. Audi, BMW and Mercedes all scored three stars for value for money, with motorists seeming to question whether these European price tags are really worth it. Like we said, just because a car is expensive, doesn’t mean it’s good. Price is obviously a big factor, with many consumers looking for a bargain when it comes to a new shiny set of wheels. 19% of total survey respondents stated that price was the biggest influence on their final decision, with that number higher for younger age brackets. 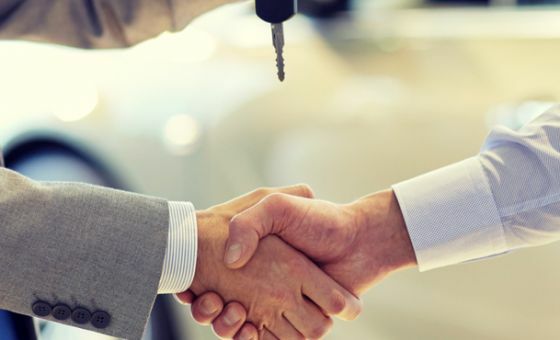 Choose your dealership – your local dealer may be just down the road, but it may not do the best deals, so it’s best to look around before you lock yourself into a contract. Each dealership may also offer you different deals or additional extras at no cost depending on who you deal with. 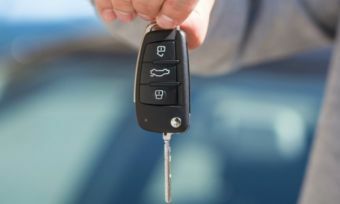 Trade in your old car – as long as it’s in good condition, most dealerships are more than happy to take your old model off your hands for a discount on your new car. This is clearly a popular option for Australians, with 53% of survey respondents buying their new car via an exchange deal. 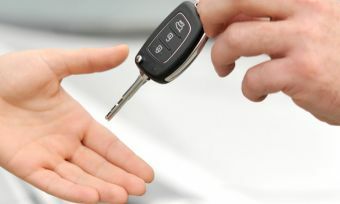 Don’t be afraid to negotiate – 80% of respondents tried to negotiate a lower price with the dealer. Pick your timing – deals aren’t just at the EOFY. With dealerships setting monthly sales targets, you’re more likely to get a better deal at the end of the month than the start. Go easy on the extras – additional extras such as paint protection and extended warranties can quickly rack up quite a bill, so be sure to think about what you really need, as some extras may even affect your insurance premiums. Ultimately, purchasing a new car will be an exciting time, with plenty of shiny and sleek options available to get your motor running. Despite the excitement however, it’s important to remember that a new car will also be an investment, as well as an expense, for years to come, so finding a car that won’t cost you an arm and a leg in the long run should be a priority. Canstar Blue surveyed 9,000 Australian adults across a range of categories to measure and track customer satisfaction, via ISO 26362 accredited research panels managed by Qualtrics. 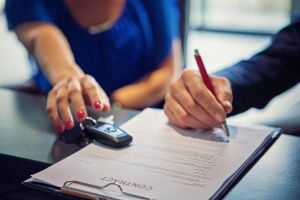 The outcomes reported are the results from customers within the survey group who have purchased a brand new car from a dealership in the last three years – in this case, 2,307 people.